Caption slip reads: "Photographer: Wesselmann. Date: 1957-11-20. Reporter: Coart. Assignment: ADW woman in Van Nuys jail. 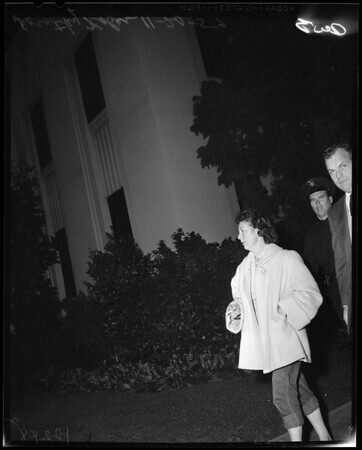 2: Grabshot of Dorothy Kober, jailed on suspicion ADW common law husband she shot in stomach".